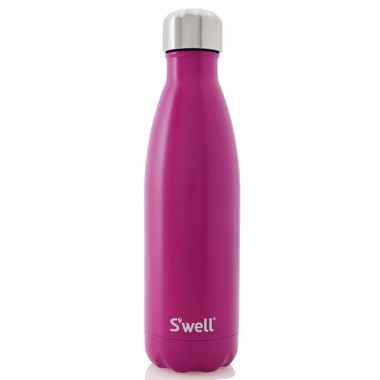 Whether you’re lusting over a hunter green or iris, the S'well Satin Collection Stainless Steel Water Bottle, featured in a semi-matte finish, has the largest assortment of colors you desire. Bought it as a gift for my friend who loves anything fuchsia. It's a really nice, bright pink in a semi-matt finish. 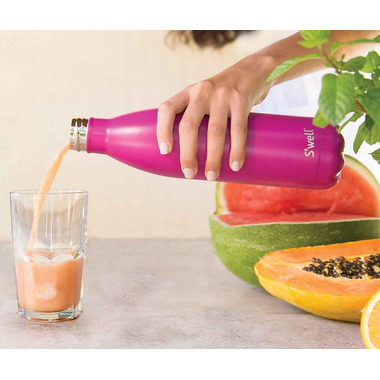 I know she'll love it as much as I love mine, and that it will keep her water cold for a very long time.